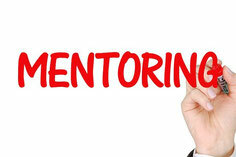 Business mentoring aims to support and encourage people to progress in their businesses and to help mentees realise their potential. Mentors understand how difficult it can be to run a business, and how lonely you can sometimes feel. They can help you stand back and look at the “big picture”, identifying strengths, weakness, opportunities and threats. They can offer helpful advice, caution against potential pitfalls and build your confidence in your own abilities. Many small businesses fail to move on to become larger and more successful as the owners are often isolated from the world outside. If the team is small there may be no one to inspire the owner to think of new ideas of how to tackle old problems. It may also be very difficult to expand due to the lack of suitable staff to help in this process. We do not give advice as we are not advisors, and cannot ‘fix’ your problems. We will discuss your business and offer you alternative perspectives, so that you can make your own decisions. It is particularly important that you feel empowered to make your own decisions and not have the decision made for you. We do not accept liability for any decisions you make regarding your business. 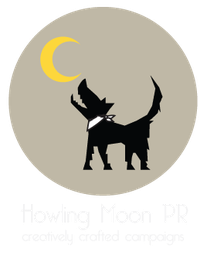 Sometimes potential clients are not quite ready for a PR campaign and need advice before embarking on showcasing their business to a wider audience.
" I would like to say thank you for our mentoring session, it made us confront quite a few things personally and in the business, and helped us to focus again. Sometimes you lose sight of things, not seeing the wood for the trees." "I thought your points were spot on on Wednesday! And I left feeling like I really needed to prioritise some of the branding aspects which I've left behind."